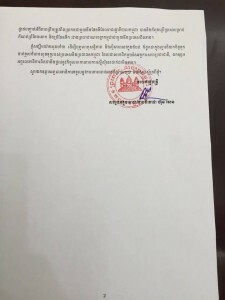 PHNOM PENH, July 6 (Xinhua) — Cambodian Prime Minister Hun Sen on Monday requested all original maps deposited at the United Nations to verify the authenticity of maps the government is using to demarcate border line with its neighboring countries. The move came after the opposition Cambodia National Rescue Party repeatedly accused the government of using the maps drawn by the Vietnamese during its occupation in the 1980s. Hun Sen said the request for the original maps is to show the scrupulousness and righteousness of the Cambodian government in delimiting and demarcating borders between Cambodia and her neighbors. 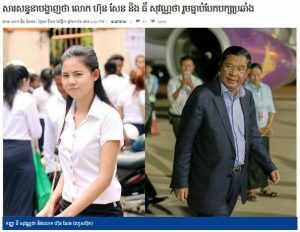 It is also “to avoid and to end the incitement of extreme nationalism and ill-intention to cause confusion within national and international public opinions in order to make political gains by some quarters in Cambodia that may lead to catastrophe to the whole Cambodian nation,” he said. According to the prime minister, late King Norodom Sihanouk deposited the Bonne map, scale 1/100,000, published by the Indochina Geographical Service and internationally recognized between 1963 and 1969 at the United Nations. Border dispute between Cambodia and Vietnam flared in recent months after the opposition party lawmakers and activists inspected border line and clashed twice with Vietnamese security personnel and civilians. 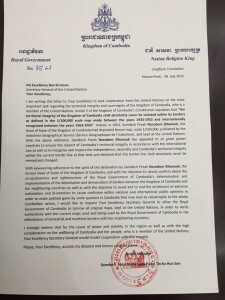 This the 6th of July 2015, Prime Minister of Cambodia, Hun Sen, wrote a letter to Ban Ki Moon, secretary general of the United Nations, to request the original copy of map Cambodia deposited since 1963 while this country became legal member of the UNs. 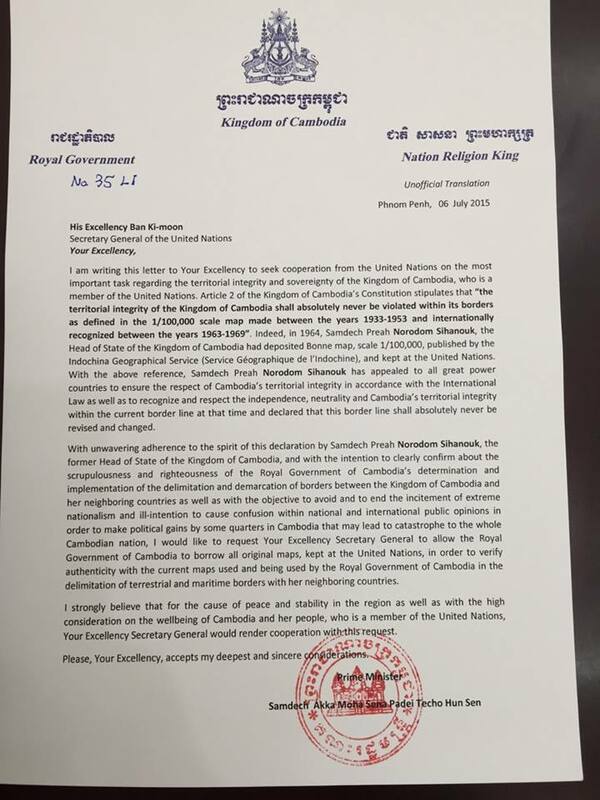 Beside of requesting the map to correctly demarcate the borderline of Cambodia with neighboring countries, the letter is directly wording “extremism and opportunist for political gain..etc” within its content. 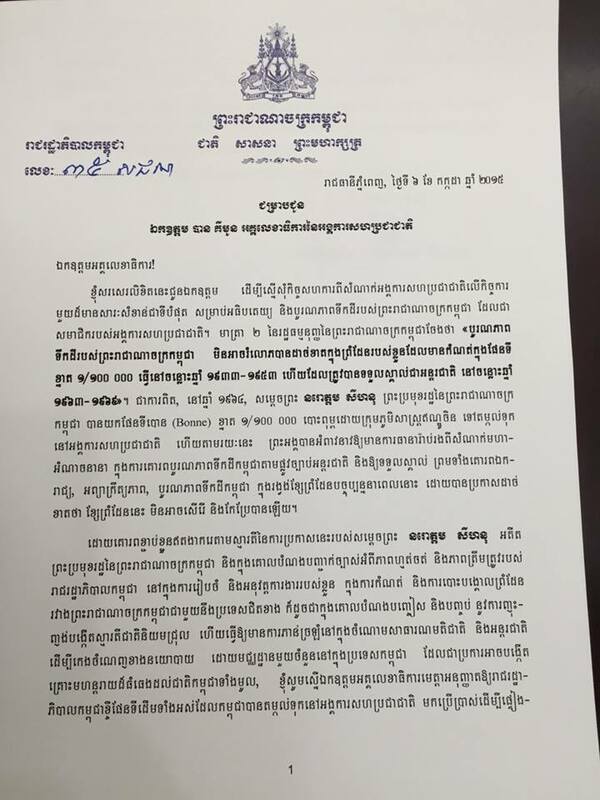 This wording is not at ease at all as recently opposition MPs, youths, monks and farmers made several trips to the problematic checkpoints at the border between Cambodia and Vietnam. Among those violent resistances of Vietnamese people and authority, the spraying of toxic liquid destroying the Cambodian farmlands, the violence clashed in Svay Rieng, and the arresting and detaining one night of a teacher who took his students to study-trip at the border, are very outstanding. The border schemes between Cambodia and neighboring countries are not opportunistic for political gain, but it is the national issue that require concerted effort to solve it. The new political mean of dialogue and culture of dialogue both leaders have crafted and assured the public shall emerge as the effective mean to prioritizing national interest regarding this troublesome border demarcation. National unity is essential for Cambodia in order to handle with the stronger and more populated neighboring countries. 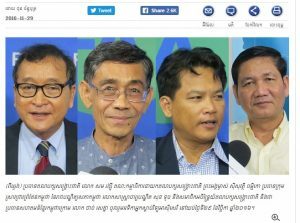 Cambodia should establish a new mechanism and new body of border committee to draw trust and transparency among the public. 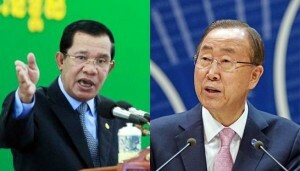 Cambodia is seeking multilateral talk with Vietnam and Thailand, if bilateral talk remains arbitrary. 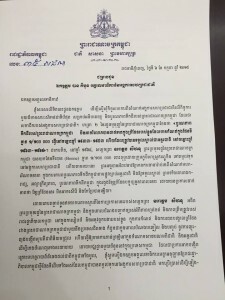 Cambodia is seeking the intervention of the UNs, the ICJ, and the signatory countries of the Paris Peace Agreement in October 23, 1991, if it is necessary.